Add green onion, garlic, ginger, and stir-fry until fragrant. 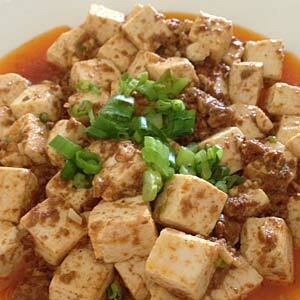 Add tofu and Fortune® Hot Spiced Minced Pork & Binder Product. Stir-fry until cooked and then serve.